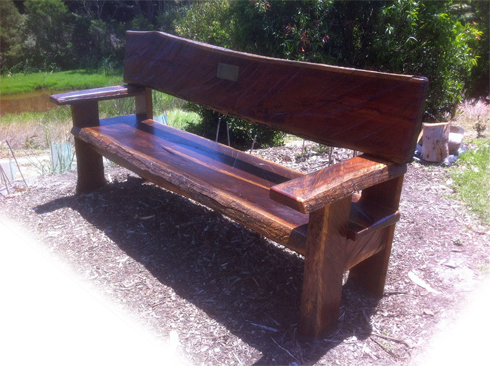 This garden seat was requested as a memorial for a much valued member of a local golf club. 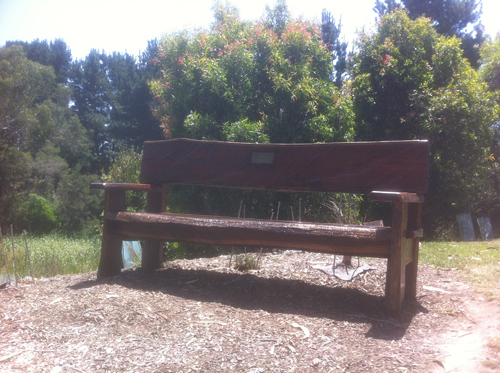 The ironbark timber was selected from the families rural property. 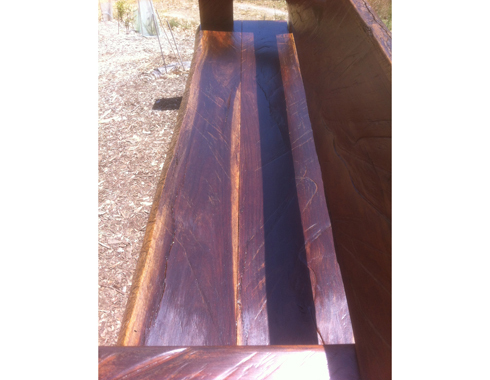 It has been finished in Osmo exterior oil and has performed well over the years. It features very prominently on one of the fairways.